Because it is small in size, it can be installed inside the ventilation opening of the natural suction and exhaust of each room, it forcibly discharges hot air but it can exhaust without opening the window even on rainy day, Therefore, it can be used without worrying about the electricity bill. This review is about item#8584107. It is a high quality and very good product, there are no points to improve. 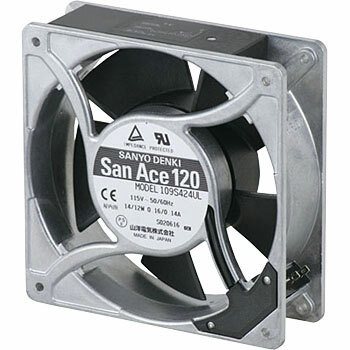 It is a replacement fan of the neta case. I ordered the size incorrectly, but I made it available for processing. Thank you very much. It was perfect for the size of the BOX to be created, I am very satisfied. Although it is satisfactory about the product, you can not have a delivery date longer than one month since ordering. Although it is not a standard product with a low speed item, I hope to make efforts to further shorten the delivery date. It is difficult to stock things that you can not sell on the monotalous side, but can not you let the manufacturer shorten the delivery date? As a sales effort, I am dissatisfied with this product. This review is about item#47123011. This review is about item#08584107. I am relieved that I do not have to worry about temperature rise in the warehouse. I thought that the three set screw holes were slightly narrow, but I cut it slightly and used it. There was not particularly trouble.